Thank you for all who came out to our performance this Sunday! 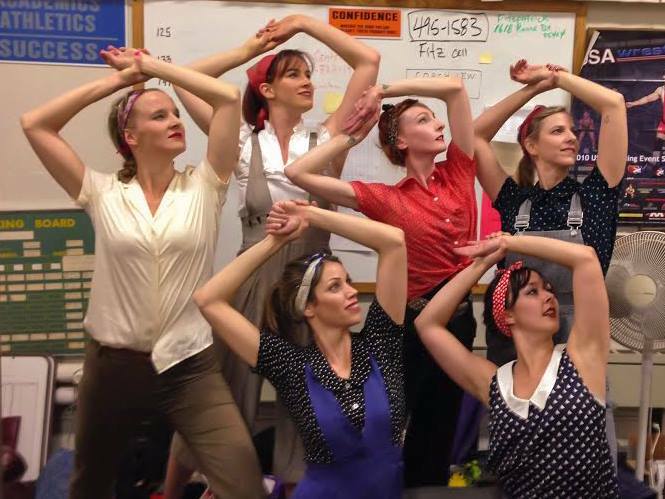 We revisited some of our favorite pieces as guest artists of Santa Rosa JC Dance Ensemble performance. We were honored to perform ‘Tangled’ the duet from (un)tied and our newest swashbuckling piece ‘Warriors at Home’ from ‘Supernatural Soiree’ premier. ‘Warriors at Home’ was a tribute to all the wives and loved ones left at home as the soldiers are abroad fighting for our country. Rosie the Riveter and all the women who held brave at the home front!